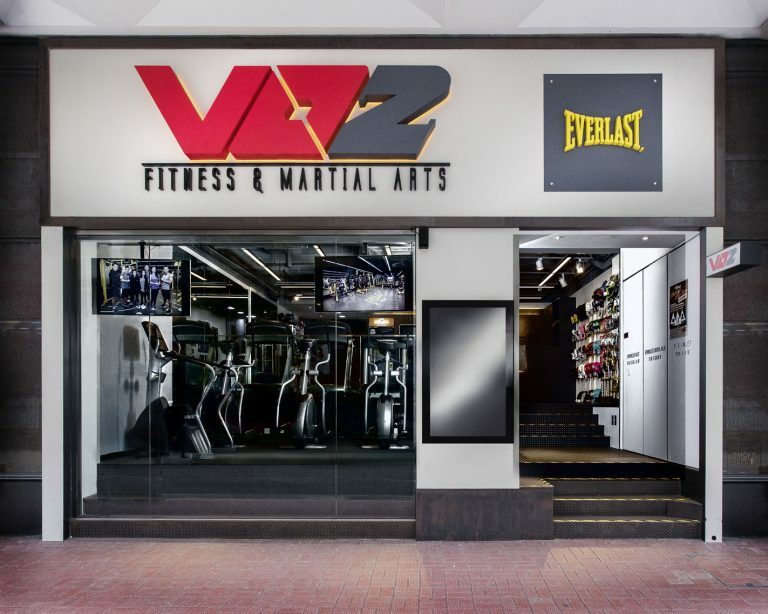 VO2 Fitness & Martial Arts Centre (“VO2”) is located in the heart of Causeway Bay, Hong Kong, covering over 7,000 square feet, offering diverse martial arts training courses, fighting sports, and physical fitness trainings. Courses are coached by professional fighters and instructors in Muay Thai, Boxing, Kickboxing, Brazilian Jiujitsu (BJJ), Mixed Martial Arts (MMA), Capoeira, Wing Chun, Systema, Fitness Bootcamp, Yoga and Aerial Yoga. VO2 also has fitness champion trainers providing: strength trainings, weight trainings, resistance trainings, and a qualified professional team providing: rehabilitation trainings, stretching, and sports massages, etc. 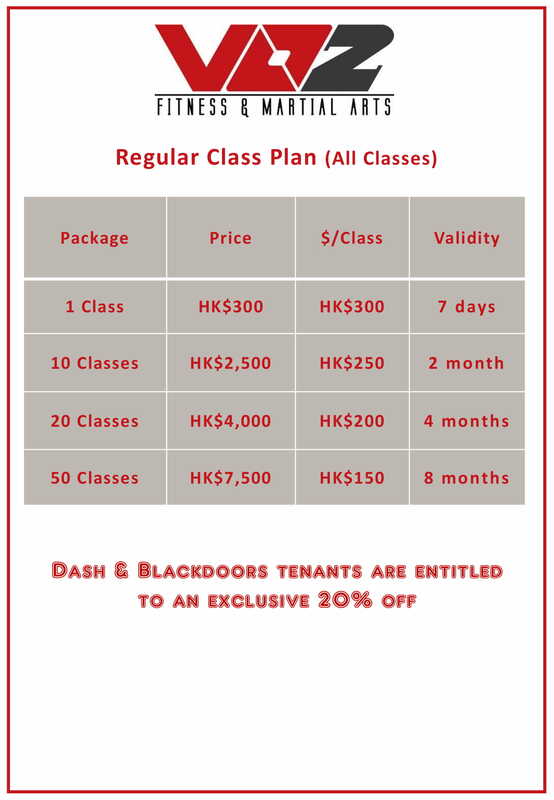 As a guest booking through BlackDoors by Dashare, you'll be able to use the below gyms for free, and is entitled to an exclusive offer of 20% off Unlimited Plan and Regular Class Plan, as well as 10% off Thailand Training Camp. See their full class schedules here. As a guest booking through BlackDoors, you'll be able to use the below gyms for free. Present Your BlackDoors by Dashare Residence Card (physical or electronic) upon arrival. 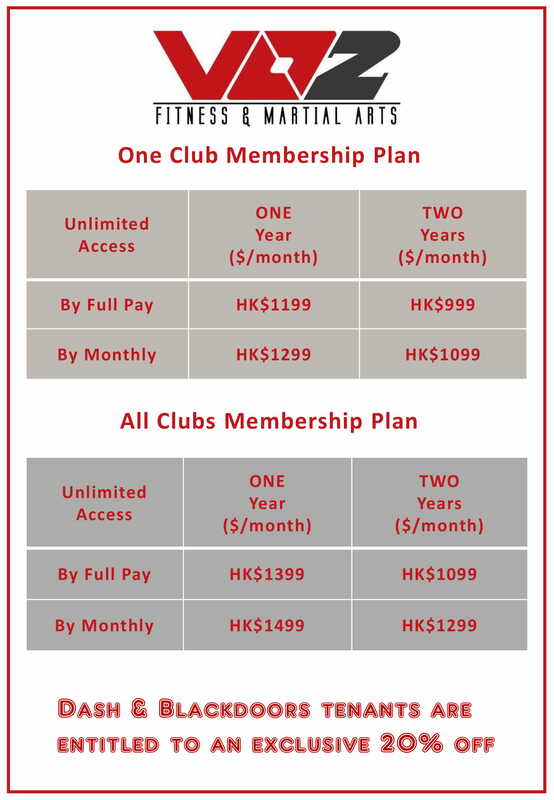 To book a class, please contact VO2 at +852 2808 4831. Bookings will need to be made at least 6 hours in advance and is subjected to availability. This benefit includes gym facilities only. Towels, fitness classes and locker usage are not included. VO2 Fitness & Martial Arts Centre reserves the right of final decision in case of dispute.